For four days and nights, soak up free-spirited Ibiza vibes as you hit the super clubs and day parties as the Rock the Belles ladies bring the warm-up for Craig David's TS5 pool party and watch that iconic Balearic sunset on the Rock the Belles boat party. Rock the Belles is the sister night of London's favourite RnB party Supa Dupa Fly and the creation of London's Hip-Hop Queen Emily Rawson. Join the Belles in Ibiza with Emily and the crew; Ellie Prohan, DJ Fearney, Sandra Omari and Feel Good Smalls. The ladies have played for the likes of Kanye West, the Kardashians, Chanel and Nike and thrown private shows at Soho and Shoreditch House, their sets blend old school hip-hop classics with the latest jams. Try out Hip Hop Yoga with Sanchia, founder of Yogahood and co-founder of Gyal Flex. Known known for bringing her signature afro, big smile and good vibes only policy to the yoga scene. Armed with a live DJ set from Emily Rawson she invites you to unapologetically throw it down on the mat to reconnect. After touching down head to Ibiza Rocks Hotel for a warm-up party for your first night in Ibiza. This afternoon try out Hip Hop Yoga with Sanchia, founder of Yogahood and co-founder of Gyal Flex. Throw it down on the mat whilst an Emily Rawson live set soundtracks your flow. Then, choose to head out onto the ocean for a truly unforgettable Rock the Belles boat party! As you glide across the glittering seas, the ladies will be on the decks, soundtracking the beautiful scenery and sunsets with the hypest Hip-Hop. Tonight you'll head to one of the island's world famous super clubs. More details to be announced soon. Today Craig David will be hosting his iconic TS5 Pool Party amongst some very special guests with the ladies from Rock the Belles also jumping on a set to make sure the hype is a peak level. As the sun dips, head back to one of the island's super clubs - full details to be announced - for your second night of partying and memory-making with friends old and new. 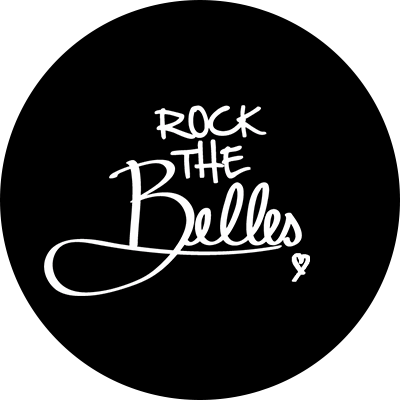 Join the Rock The Belles crew at the home of the pool party. The Ibiza Rocks pool parties are always epic and with the Rock The Belles girls on the decks alongside some very special guest headliners to be announced soon, this promises to bring you the hypest hiphop vibes ever. As the sun dips, head to the infamous STK Ibiza where the Supa Dupa Fly family will be taking over for the night. Supa Dupa Fly's London shows have become THE necessity in many Hip-Hop & RnB lovers diaries, celebrating the culture from the 90s to now, packing out sold out weekly events all over London's at the hottest venues for the past 7 years. Round off an epic trip with one final pool party hosted by Garage Nation! Laze on loungers soaking up the sun to the sounds of UKG! Standing right in the centre of San Antonio, and with incredible poolside parties taking place every week, there's no better base than the Ibiza Rocks Hotel. Take a dip in the sun-soaked pools, lounge on Bali beds and lose yourself in music.